Restumping, relevelling and house reblocking specialists in Sydney Genuine Underpinning are the experts in house underpinning, restumping and relevelling. We service all suburbs throughout Sydney and all our work is guaranteed. Contact us on 02 8628 7351 to organise an assessment today..
Should it be your bathroom, kitchen or anything in between EW Building have you covered. Based in Sydney we are your one stop home renovation experts. If you are looking for beautiful, reliable and modern designs then look no further than EW Building.Should it be your bathroom, kitchen or anything in between EW Building have you covered. Carrolls Wholesale Timber sell direct to anyone and deliver just about anywhere. We have a large range of both recycled and new timber products and we specialize in making hard to supply timber products easy to locate and buy.Decking, Flooring, Fencing, Recycled Hardwood, Structural Hardwood, Treated Pine, Mouldings, Plywood, Weatherboards, Logs, Sleepers, Laminated Veneer Lumber, Composite Decking & Cladding, Fire Rated Hardwood. n Sydney there is a real requirement for quality drain clearing, this is where Aqua King can assist you with your blocked drains and provide you with high quality service and workmanship. Aqua King’s operators use high pressure water blasting (also known as jet-blasting) in order to unblock your pipes and blocked sewer in Sydney. Specializing in all stones and porcelain, import and wholesale also available. http://www.sydneytilegallery.com/. Are you looking for the best laminate flooring in Australia? You are definitely at the right place. Aquastep is one of the most recommended suppliers of a wide range of laminate flooring materials in Australia. Contact Us: Aquastep Address: 67/17-23 Newland St Bondi Junction Sydney, Australia Phone: +61 2 9389 4389 Website: www. Its a wonderful world Australias premier Prestige and Elegant , Wall and Flooring Tile supplier. http://worldoftiles.com.au/. There are basically three types of major pile testing methods; static pile load testing, dynamic load pile testing and, pile integration testing method. These methods are used widely by engineering experts. Visit us to find more! http://pilingexperts.com.au/screw-piling. When you need glass & you need it fast, you need to call Liverpool Glass!Whetherit's little Johnny's s ball from over the fence or a criminal event, the experts at Liverpool glass can relive that stress and even clean the mess. !For all your 24HourGlass Emergency needs, be sure to contact the friendly teamat Liverpool Glass, servicingSydney-wide. Sydney based building company specialising in metal colorbond garages, carports, sheds, warehouses and patios. Offering a complete package from design to completion including removing old asbestos buildings http://outdoorgaragesandsheds.com.au/. Prestige blinds, shutters, screens and awnings Prestige blinds, shutters, screens and awnings. Guthries joinery are a award winning joinery shop based on the Central Coast of NSW working in Sydney and Newcastle aswell , we specalise in one cabinet job's to entire house fitout's and shopfitting, including kitchens , vanities, laundries entertaiment units , bookcases , wardobes reception counters display units and more . Affordable and Stylish Office Fitouts Services in Sydney!! D&C Interior Projects will invite you back into D&C offices and create the environment that you dream of for your new workspace. We have a dynamic showroom for our range of office products with affordable and stylish office fit outs services for you. We deliver with honesty, integrity & simplicity. Professional Australian Based company offering quality designed and fabricated Flatpack Kitchens. Call or email today for your free quote 02 9877 5045. Glass Direct Australia designs, fabricates and installs a huge range of architectural glass assemblies, ranging from a simple pool enclosure or frameless showerscreen to complex glass balustrades. Call 02 9587 8033. http://glassdirectaustralia.sydney/ 437 West Botany Street Rockdale NSW 2216 Australia. Why Choose FloorVenue? We pride ourselves on being Sydney’s foremost flooring company. For over a decade, we have supplied and installed floorboards for thousands of satisfied customers across the state. We always provide quality and service to our customers at unbeatable prices, guaranteed! We stock an expansive range of products from selected, local and global suppliers. Roof restoration, New roofs, Repairs & Reports. We specialise in slate & shingle roofing, heritage roofing and heritage roof maintenance. We also do tile roofing. http://www.hgnroofing.com.au/ Sydney Kirrawee NSW 2232 australia. Get Interior Fit out Design and Construction for Office in Sydney! D&C Interior Projects is one of the most professional office fit out companies in Sydney. We specialize in fitout design and construction services for functional office, retail, hospitality or home environment. We provided office design and develop interior office design solutions to enable businesses. Professional roofing contractors. Call our team Today. Unit 3/12-14 Beaumont Road Mount Kuring-Gai NSW 2080 nulok.com.au. We offer cost-effective solutions for smart home automation design and delivery. With 20 years experience we know that prior planning and thorough documentation delivers considerable savings. Our expertise lies in taking the budget for security, intercom, lighting and entertainment equipment and delivering a fully integrated and cost-effective system that is easy to use. We're Brisbane's largest outdoor living specialist. We design & build patios, carports, decks, patio enclosures & offer a complete home renovation service. Call us today on 1300 727 124 for a free. EPM is an Australian owned company providing client-side Development and Project Management services in the Property and Construction Industry in Australia. EXPERIENCED COMMERCIAL PAINTERS, WITH EXPERTISE IN ALL AREAS. WE HELP YOU MAKE AN IMPRESSION WITH FANTASTIC PAINTWORK AT A VERY AFFORDABLE RATE. CALL 0417791748 NOW! http://www.appealingpainters.com.au/. Professional Family owned Australian Based Kitchen and cabinet factory. Custom designs and complete install packages available. For a quote call 02 88125763Professional Family owned Australian Based Kitchen and cabinet factory. Custom designs and complete install packages available. For a quote call 02 88125763. Maintenance King Plumbers are expert plumbers providing plumbing and emergency plumbing services in your area, and can handle everything from blocked drains and leaking pipes to hot water installation… and everything in between..
Save $1, 000s With a Free Estimate! Same Day Response. 24/7 Availability. No Overtime Charge. Licensed Plumbers. See more here: http://www.roto-rooters.com/. At ABS roofing services pty ltd, we offer Sydney roof repairs, even for roof leaks Sydney. 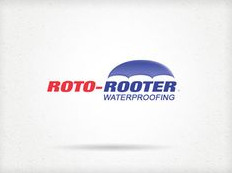 We also are eager to assist with roofing maintenance. ABS Roofing services has been proudly providing roofing services for 20+ years. Whether you need roofing maintenance, roof repairs, or even new roofing installed, our experts are always eager to get the job done. Alltex Landscapes can provide all your lawn and landscaping needs from maintenance to weed control and plant replacement, retaining walls and wrought iron fences to outdoor kitchens and water features. See more here: http://alltexlandscapes.com. Professional Carpet Cleaning in Sydney - High Quality! Are you looking for a Professional Carpet Cleaning in Sydney? Well, Fleet Cleaning has the best offer for you that you won’t regret. Not only does professional carpet cleaning keep your business or residence looking its absolute best, but getting carpets cleaning regularly is a solid investment in the health of your employees and your family. Removals York are a family ran professiional company providing affordable Removals in York. We can also provide Office Removals York and Self Storage York. See more here: http://www.removalsinyork.co. Home repair services, maintenance services Sydney ads Sydney, Home repair services, maintenance services classifieds Sydney, Home repair services, maintenance services free ads Sydney, ads for sale Sydney, ads to buy Sydney, FREEADSAustralia Page number 8-1. Find here ads for sale, to buy and rent in Sydney. Goods for sale in Sydney, vehicles for sale in Sydney, Sydney real estate for sale, Sydney property for sale, property for rent in Sydney, business ads in Sydney, Sydney business classifieds, services in Sydney, Sydney services ads, jobs in Sydney, pets for sale in Sydney, Sydney dating, Sydney cars for sale.